To invest in the stock market or real estate? Many people are asking themselves that question right now as their stock portfolios take a beating. I have been on both sides of this and have a strong opinion. In the last 20 years, I have invested in under market value real estate as well as the stock market. I have reached a firm conclusion: Investors generally speaking are better off to invest in real estate over the stock market. Even though I have done well at times when the stock market increased in value in the early 2000s, I have been able to make much more steady passive income from investing in below market value properties. Conventional thinking investors think that if we invest sufficient cash into the stock market, they will be able to stop working with little risk. The big problem that most people have is how many years it takes to invest and the big ups and downs of the stock market. Invest in the Stock Market or Real Estate? Given the low interest rates we have seen for the last eight years, many older people are far more invested in stocks than they ever thought they would be. This is understandable as they need to grow their portfolio so they do not run out of money. But there is a lot more risk by investing in stocks rather than bonds. With under market value real estate, you can stop working much earlier and safer than the stock market, if you do it right. Take me: I started out in 2001 with $40,000 of college debt and was financially retired in real estate by 2007 with $20,000 per month in passive income from investment properties. I did invest in the stock market early on and made nearly $100,000; of course I lost half of it in the stock market dive after 9/11. That is when I started to look at investing in under market value real estate in San Antonio. Long term, steady cash flow- every one of my under market value properties produces $600-900 per month of steady cash flow without repairs. Tax breaks – rental property owners enjoy many tax write offs and depreciation write offs. If you know what you’re doing (or working with an expert), you can buy under market value properties in real estate and make 10% a year or more, year after year. The US government and most traditional investing models tell us to invest in stocks and mutual funds. Over time, the stock market generally goes up in value. I learned this the same as everyone else and I first invested in the stock market when I graduated from Northeastern University 16 years ago. I quickly got frustrated with this because I found that while I had years where I made 15% per year, I also had terrible years, such as right after 9/11, when I was negative growth and lost 10s of thousands of dollars. I also ran the numbers in retirement calculators and was amazed at how long and how much I would be investing before I could ever stop working. Even worse, I was just spitballing when I would die, and I also had to take a guess at what my investment return would be. If I lived longer than I thought or didn’t get the return I thought, I’d run out of money! I have been investing in below market value property since 2001. After I lost 50% of my net worth in the stock market after 9/11, I left Boston (where I went to college) and came home to TX. I soon discovered something amazing: I could buy houses under market value in San Antonio by 30% or more. With some rehab, I could rent them out or owner finance them and make a steady 10% per year, or even 15% in some cases. 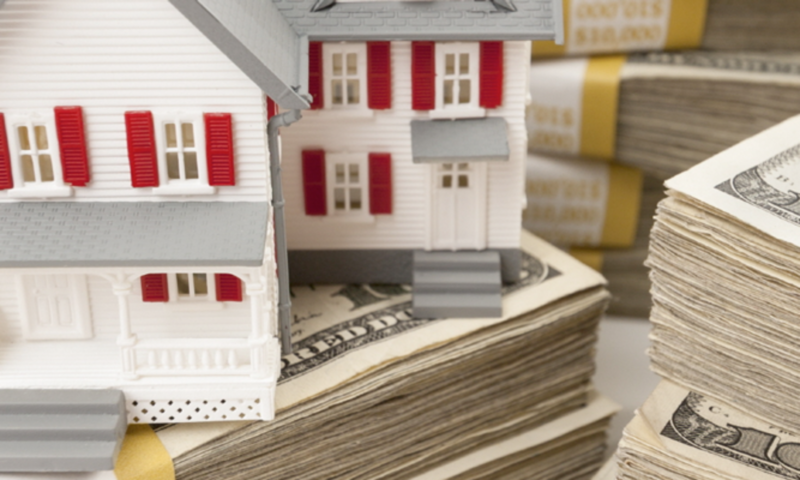 Investing in Real Estate Provides Cashflow! When you buy your under market value properties, look at how much passive income they produces. I see at least $600 per month of cash flow on my deals. I buy my houses in cash and owner finance them at 10% so I have no repair costs. I prefer investing with owner financing than renting so I have more cash flow and no maintenance. The cash flow from my under market value properties continues year after year. I only hold the note on the property, so I never have to be a landlord. Once you have enough of these houses, you can retire. I actually did ‘financially retire’ at 28 once I had $20,000 per month in cash flow. Now, some stock market investments will generate cash flow, but rarely are dividends going to give you a steady 10-15% annual return. You might see a 15% return on your stocks, but that is just on paper and you will see no cash gain until you sell. Meanwhile, I am getting steady cash flow every year from my below market value houses. If you rent out your properties, you also enjoy appreciation of the asset (all of my houses are now owner financed, though). Everything comes down to buying a house under market value. As a Texas real estate agent with 15 years of experience, I am very skilled at finding these houses and negotiating a price that provides me or my investor with at least a 10% annual return. Many of these below market value houses are REOs, short sales or estate sales. The seller may want to get rid of it and just recover some cash. I buy my houses at least 20% under market value. So if I buy a $50,000 house, I have to see at least $10,000 in equity when I close. Note that it does cost more to buy and sell houses than it does to sell your stock. But if you are smart and buy under market value, you will more than make up for that. I no longer rent out my properties, but no doubt, many of my investors do rent them out and enjoy great tax benefits. Under market value properties may be depreciated, so the cost of the house, repairs and any improvements can over time be depreciated. According to the IRS, you can deduct your depreciated value of the house from your yearly taxes over 26.5 yrs. If the house is $100k, you could deduct about $3700 from your income each year, which would save you about $1000 per year in taxes. They require management and repairs. You cannot just buy a rental property and forget about it, like a stock share. But with my system of owner financing, I can pretty much buy the house and get a buyer in there, and it pays me monthly cash flow, even better than a stock. I own more than 50 owner financed properties in San Antonio TX, and over 15 years, I have made over 13% on average from all of my properties, ranging from $500 to $900 per month in pure cash flow without any repairs. From 1950 until 2009, the stock market returned an average of 7%, and that mostly is on paper, so you have to sell to realize the gain. Meanwhile, I make 10 to 15% per year on my under market value, owner financed properties in San Antonio. Also, the stock market has very bad years, such as 2001 and 2002, when the stock market dropped 10% to 20% per year. If you were on the cusp of retiring those years and lost 50% of your net worth, you were out of luck. I know people in that situation. And I was making 13% per year or so at that time on my houses. Demand for my under market value properties only goes up in a downturn, too. If I would have to invest more than $500,000 per year at 7% interest in a tax deferred account to generate the cash flow that I have in under market value real estate. I would have to continue to invest that every year. I have more than $40,000 in cash flow coming in every month right now from my properties without investing a dime more. So, when you think to invest in real estate or the stock market, I think the conclusion is pretty clear – investing in under market value real estate makes a lot of sense long term, due to the rate of return and the passive cash flow – especially if you owner finance the properties.